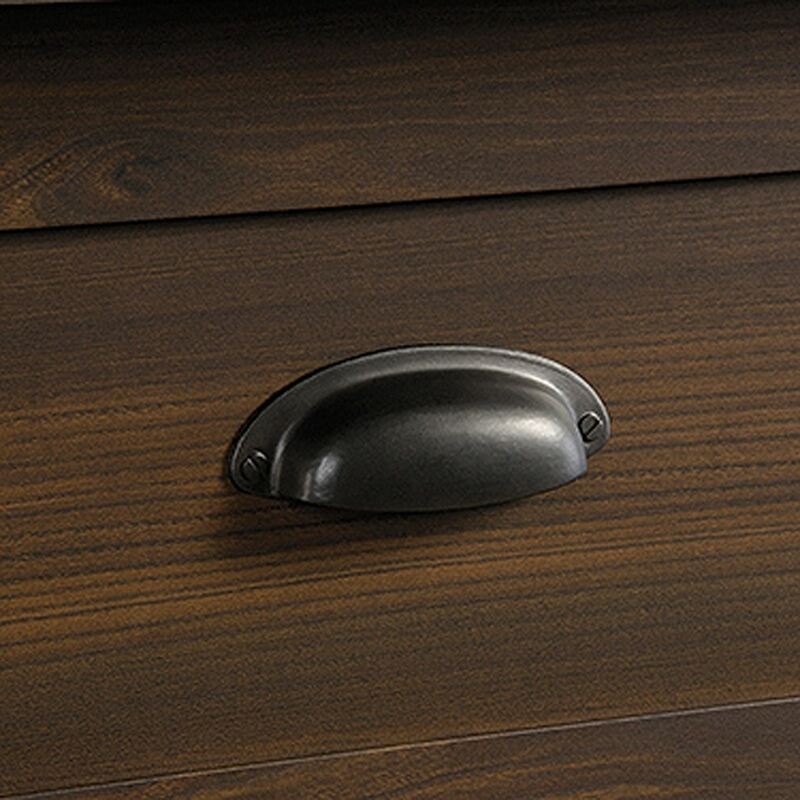 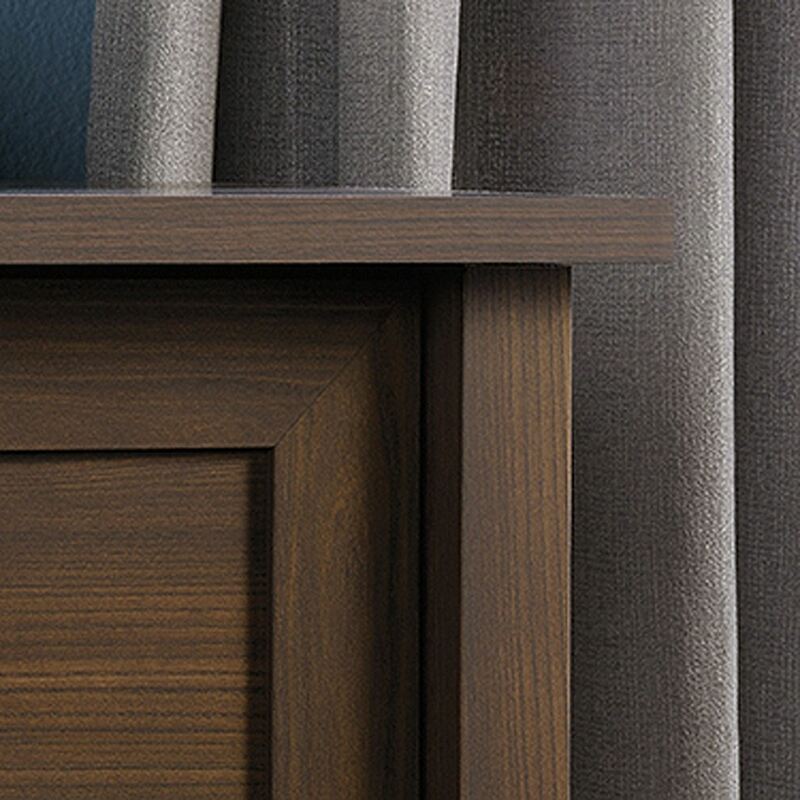 County Line 4-Drawer Chest Rum Walnut By Sauder. 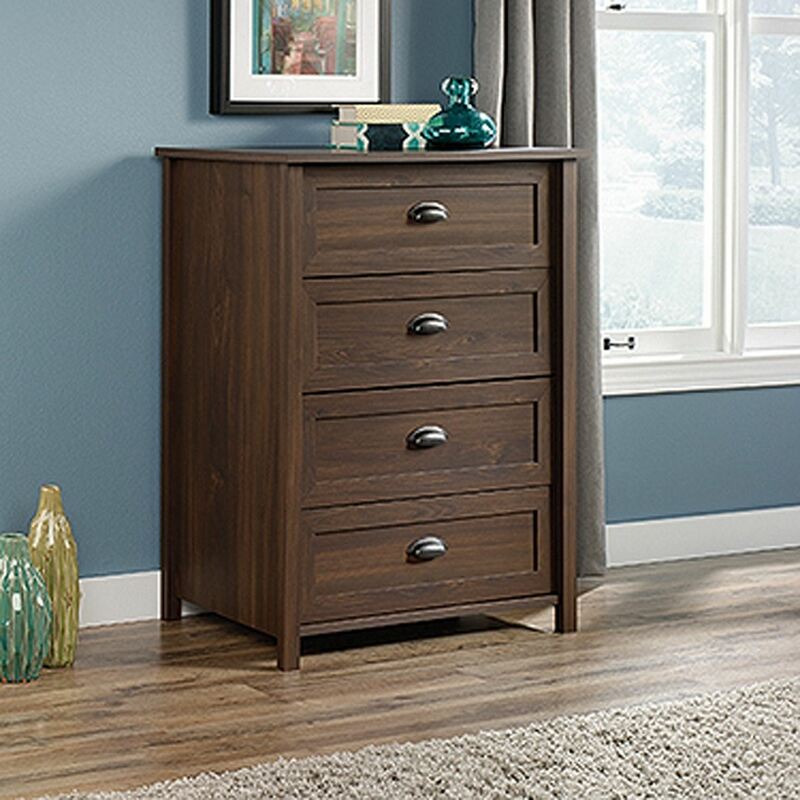 This 4-drawer dresser and chest can be used in a bedroom, spare room or even an office for some extra storage. 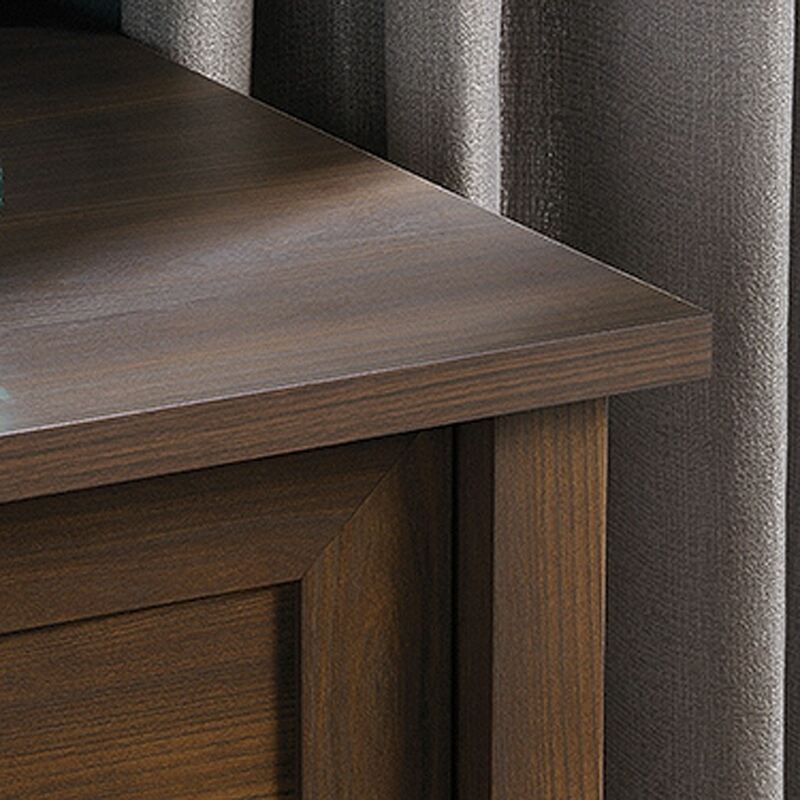 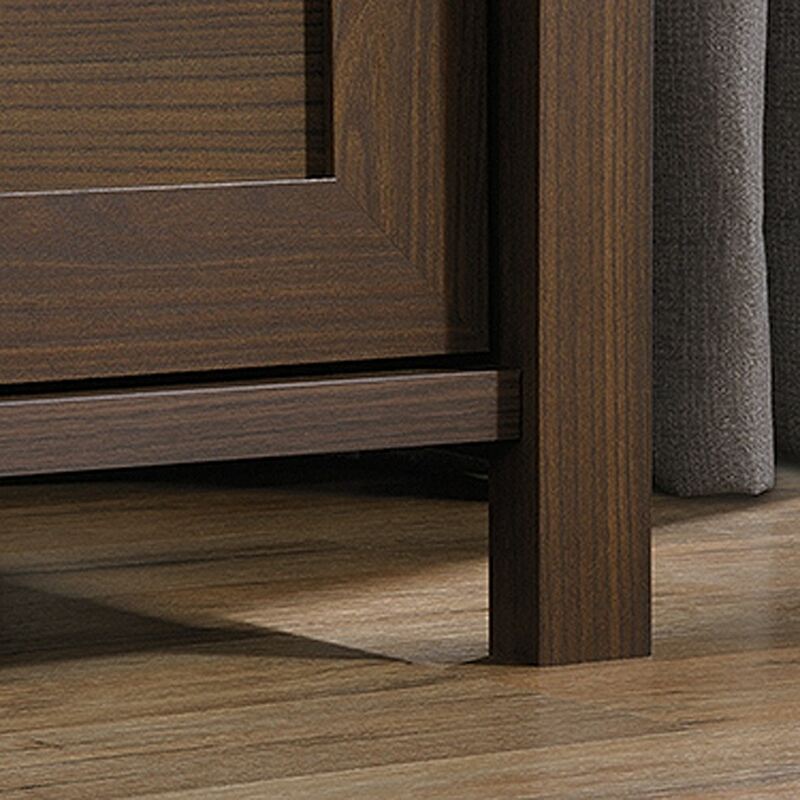 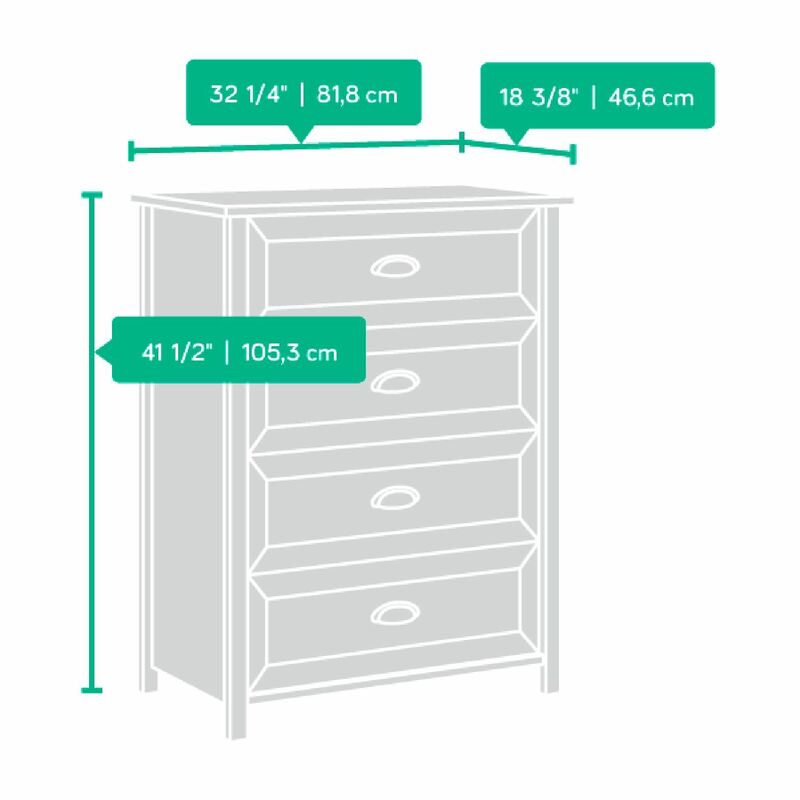 Features of this dresser include: Drawers with metal runners and safety stops feature patented T-slot assembly system.